Its a brand new book detailing what is a most romantic fixer upper fairy tale . run down abandoned home with her husband in a small California town. in the blogging world when we both began in 2010. 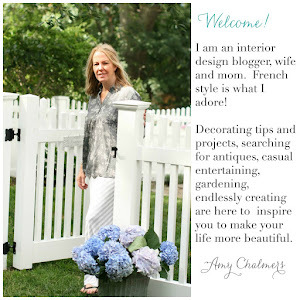 She with her French Country Cottage blog and I with Maison Decor. was born out of visions of what could be, instead of what was there. 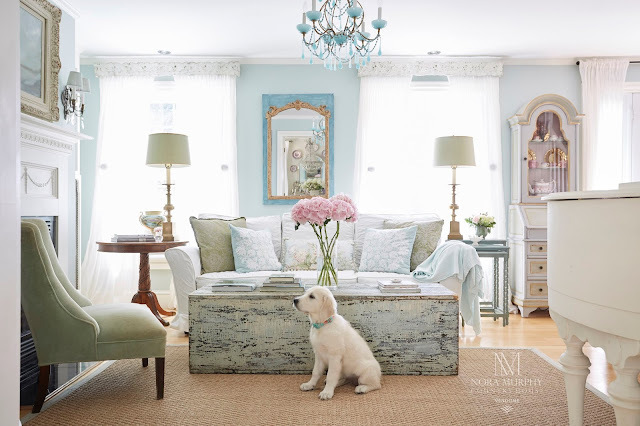 a pretty floral design and then hung an old gilded chandelier to put it over the top. Her choices are always inspired and unique, as Courtney is truly an original. 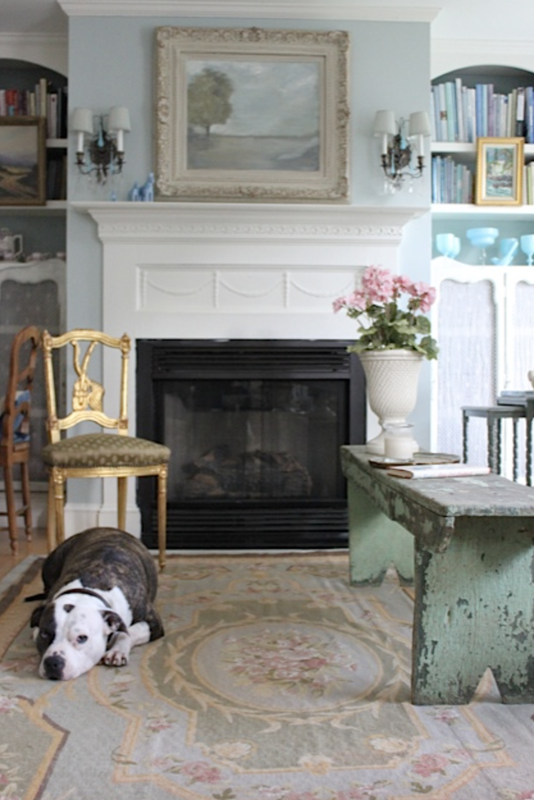 We found inspiration from each remodeling project as she created her dream home. allowing access to the garden spaces she created for outdoor living. and in her book, Courtney shows how she made defined spaces. 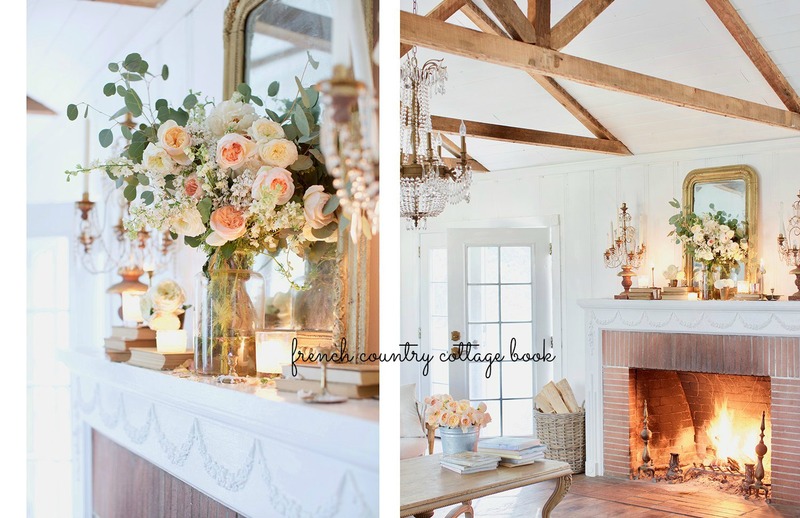 than we get to see on her blog, also "French Country Cottage". and these various "rooms" were actually located in one large space in the old cottage. 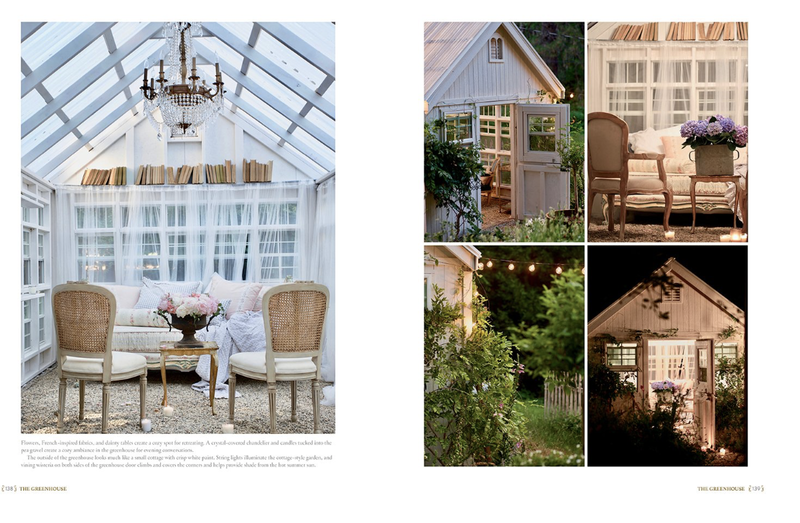 Tips on how to combine living spaces are just some of what you will find in the book. laid out, and her out buildings such as the extra cottage and a new greenhouse. 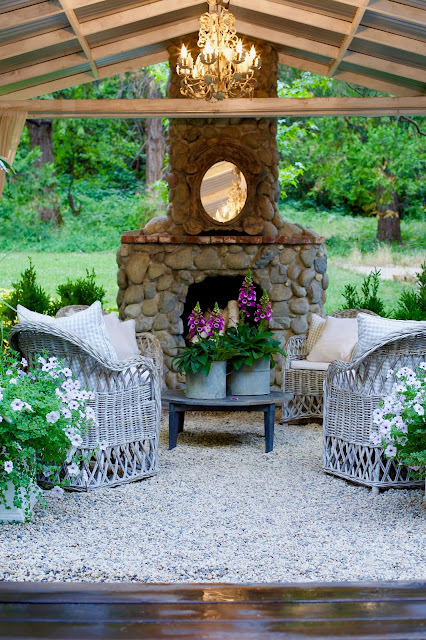 But lets talk about the outdoor spaces, shall we? so incredible! Talk about creating a memorable space!! 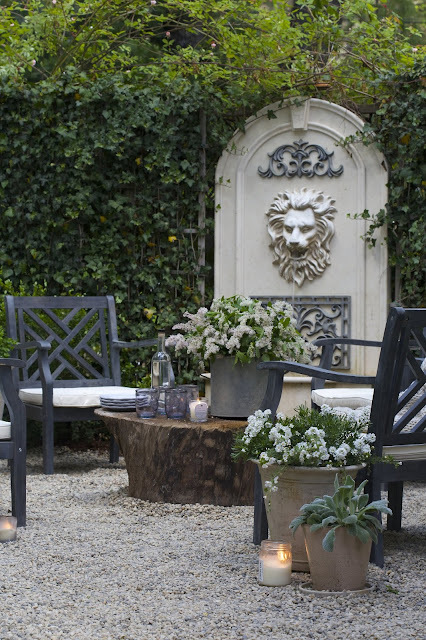 Lion fountain, or huge gilded mirror, or marble topped tables or fancy chandeliers. 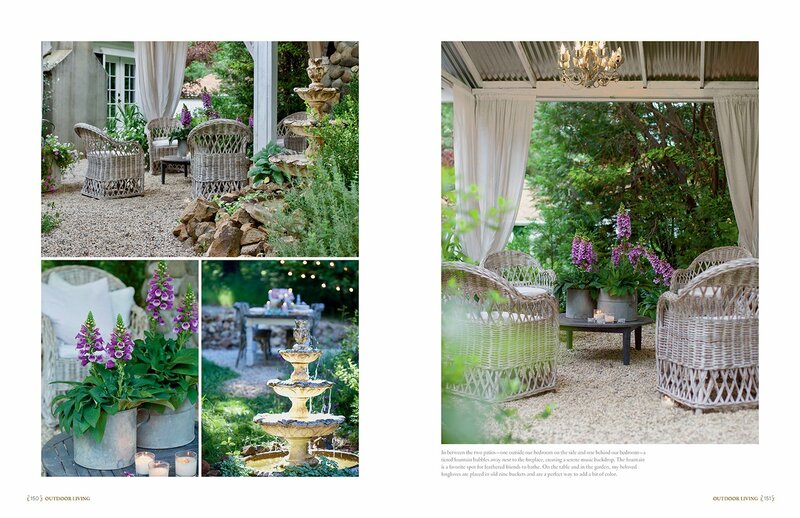 Her outdoor spaces are truly magical, and there is one I aspire to create for myself. after a storm destroyed the first one she had standing. I was devastated for her. But of course she got it rebuilt and carried on with her can-do spirit. 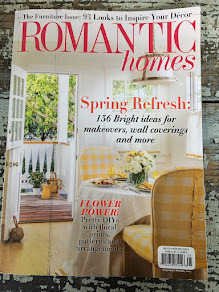 rustic romantic style I am attracted to. My own yard has several "outdoor rooms", but none quite as glorious as hers. Building an outdoor fireplace and then a room around it, is on my list for sure! rounded river rocks instead. Courtney tells how they built it from scratch. 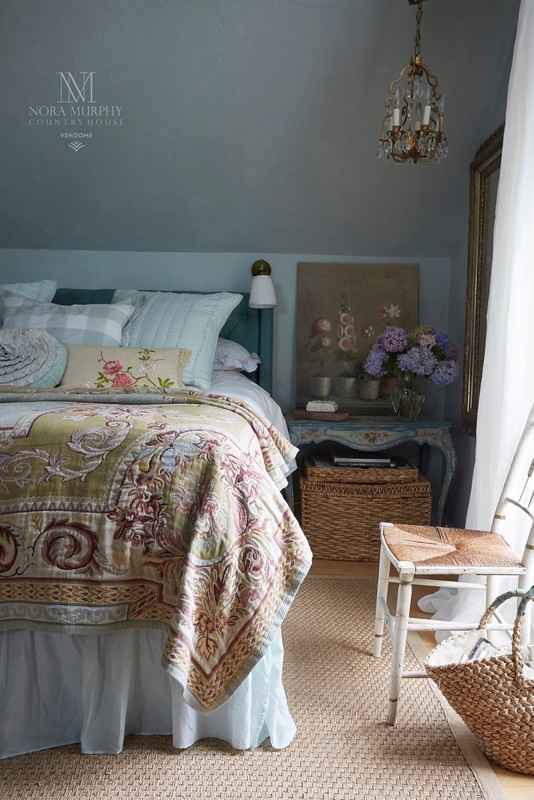 to the pretty bedrooms and amazing kitchen spaces! 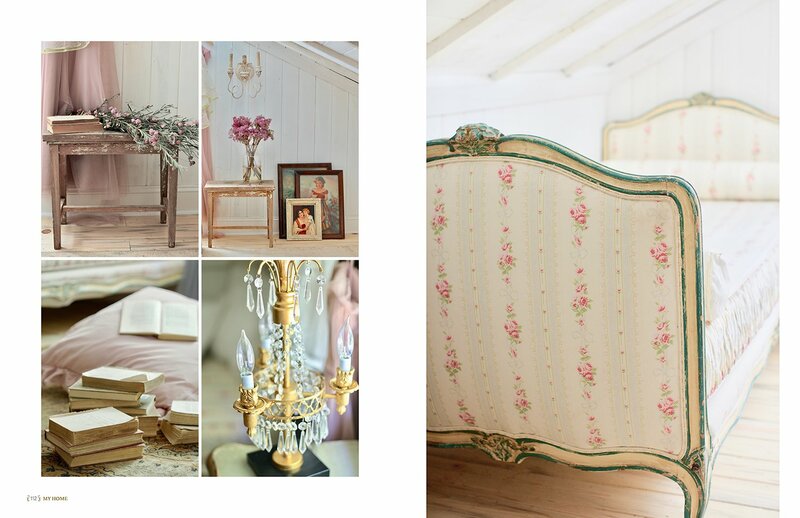 Decorating ideas abound in this pretty book. They were lucky to have another tiny home on the property that was also rehabbed. and gilded mirrors and of course, old crystal chandeliers. on her blog located right here on my blogroll (in the right hand sidebar area). no matter its condition or size. 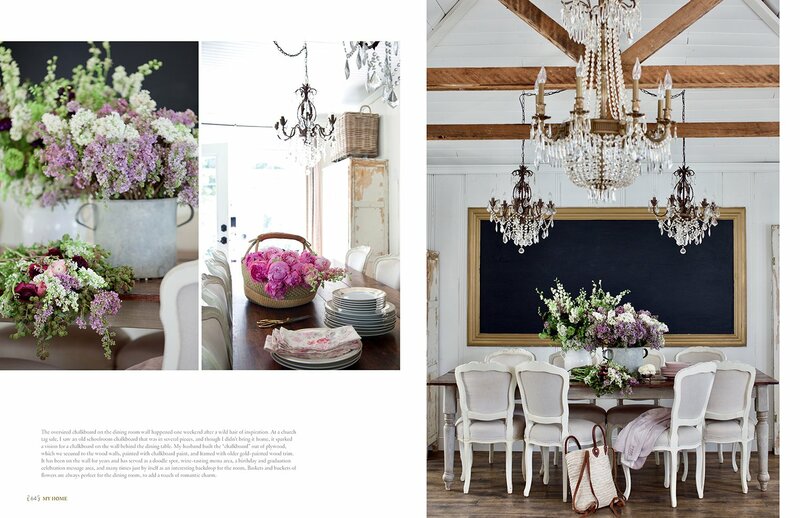 Just stick to your vision and bring it to life, one chandelier at a time. 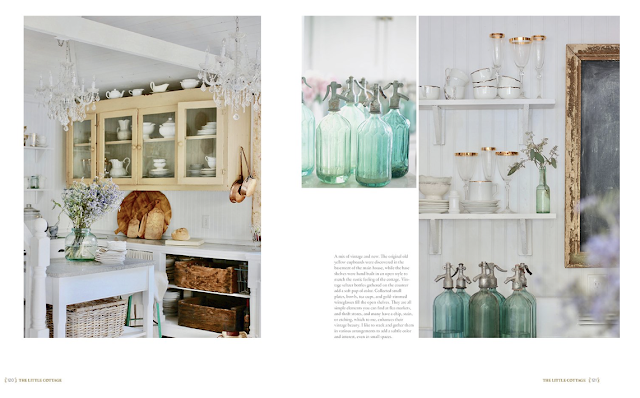 Lastly, this book has easily just become one of my top favorite decor books. When I heard she was writing a book, I couldn't have been more excited to get a copy. and pouring through those beautiful photographs of Courtney's home. Simply put, its beauty and inspiration and attainable house goals all rolled into one. 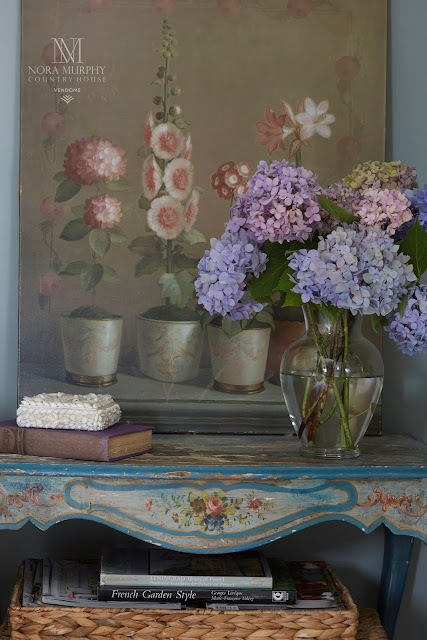 Aubusson rugs in needlepoint have always been a favorite of mine. 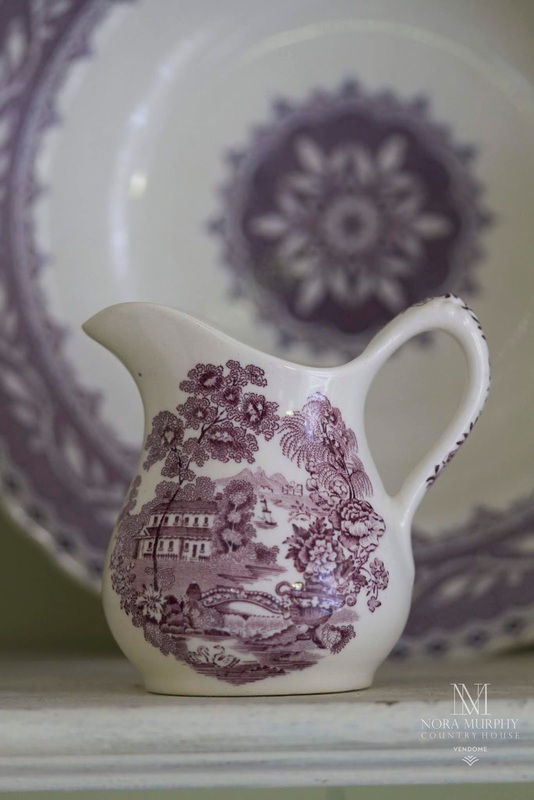 They originated from the town, Aubusson, in central France on the Creuse River. It is known for making its beautiful carpets since the 15th century. auction for reasonable prices these days. They cover the floors in the grand homes and palaces around the world. 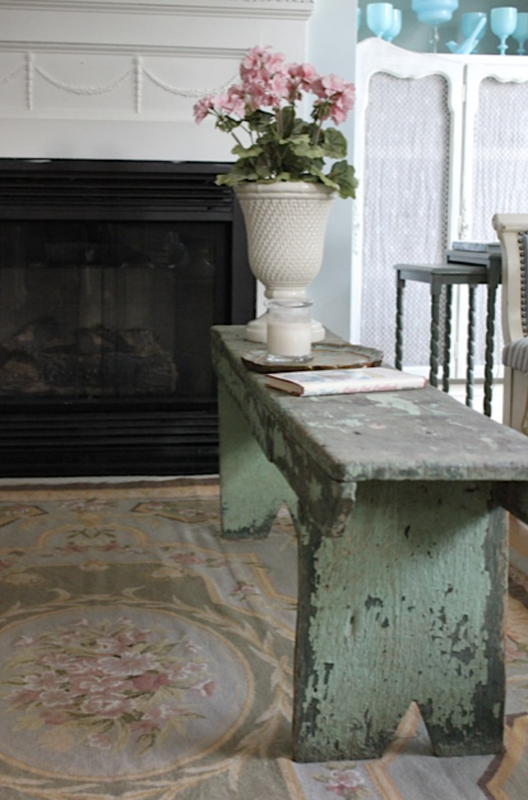 I love mixing the fine elevated look of the rug with some rustic pieces for some Maison Decor style. Green and blue-gray with some pretty floral swags and bouquets make this undeniably romantic and French rug right at home in my living room. I recently purchased a room size Aubusson that is so big I am hoping it will fit in my dining room. I worried if the dogs might ruin it with their rough housing and fur shedding, but instead they LOVE the softness of the wool, and it has become a favorite spot to relax. Its also easy to vacuum, so I am pleasantly surprised at how well it is working in our active household. Piper poses here with a brand new book I just got from my blogger friend, Courtney Allison. 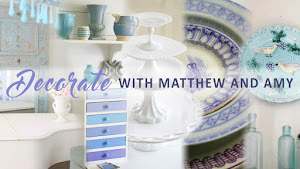 on my next blog post this weekend! 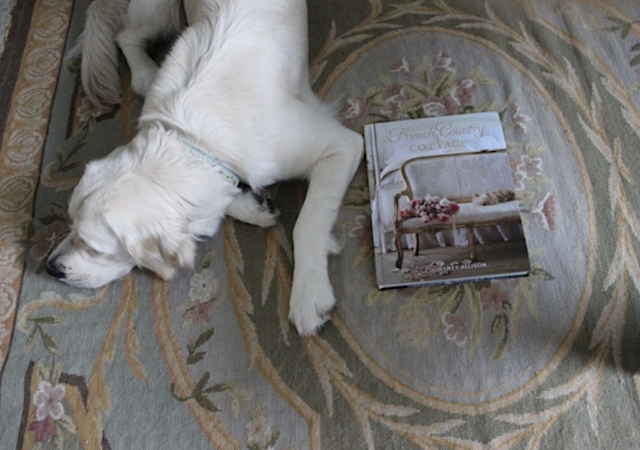 the cover under her gilded settee! 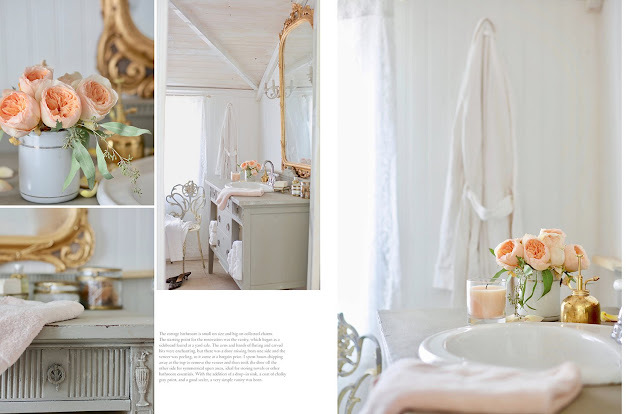 the rustic elements, which speak to my heart. More on Courntey's French Country Cottage style on my next post! charming cottage style kitchen is how I found this beautiful home. 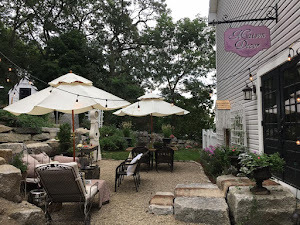 a favorite French hotel restaurant, La Mirande, which has a Chef's Table kitchen. 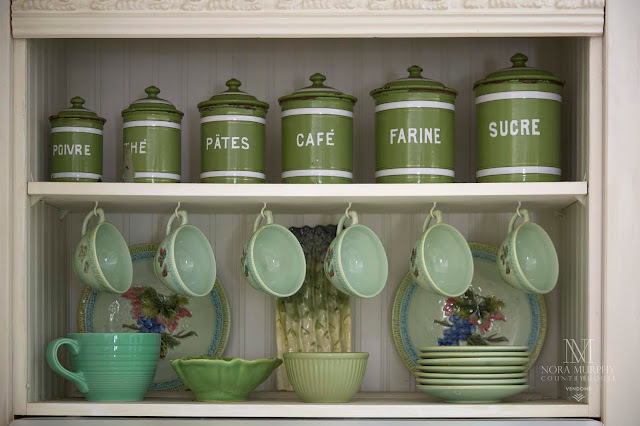 The open shelving with the decorative trim work, painted blue, is incredibly charming! Here is a wider view of the kitchen, with the oak Chef's table in the center surrounded by ladder back chairs in French blue. 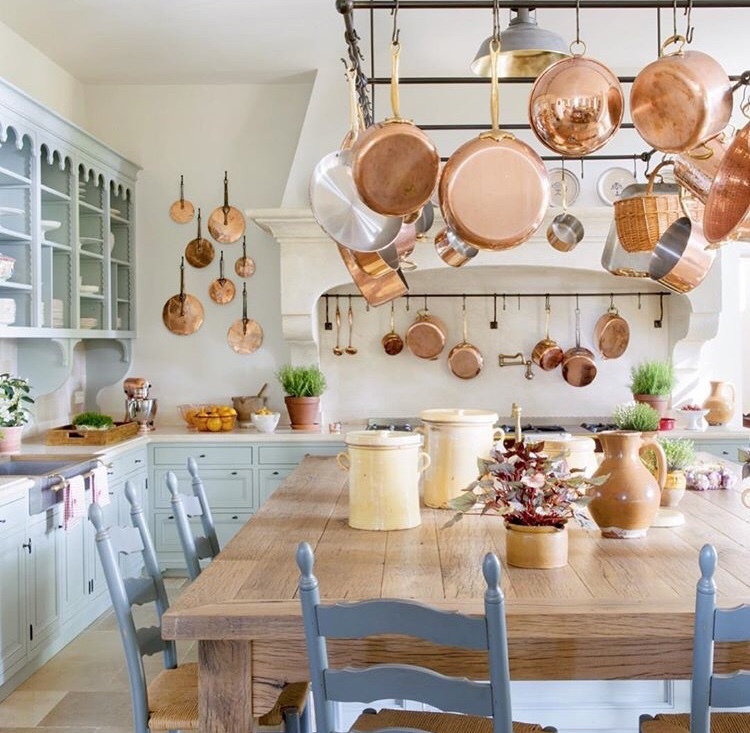 Loads of copper hang from the walls, pot rack and over the Lacanche range. Its just so charming!! 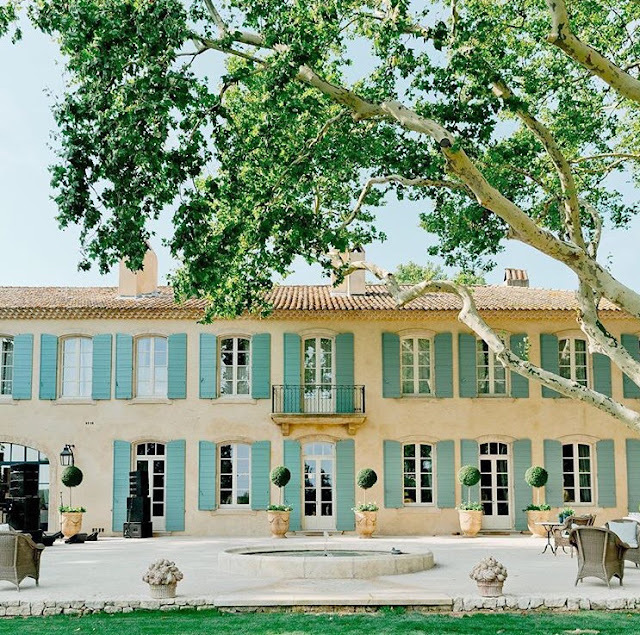 Read more about this French Farmhouse and the beautiful renovation on the The Glam Pad blog here. 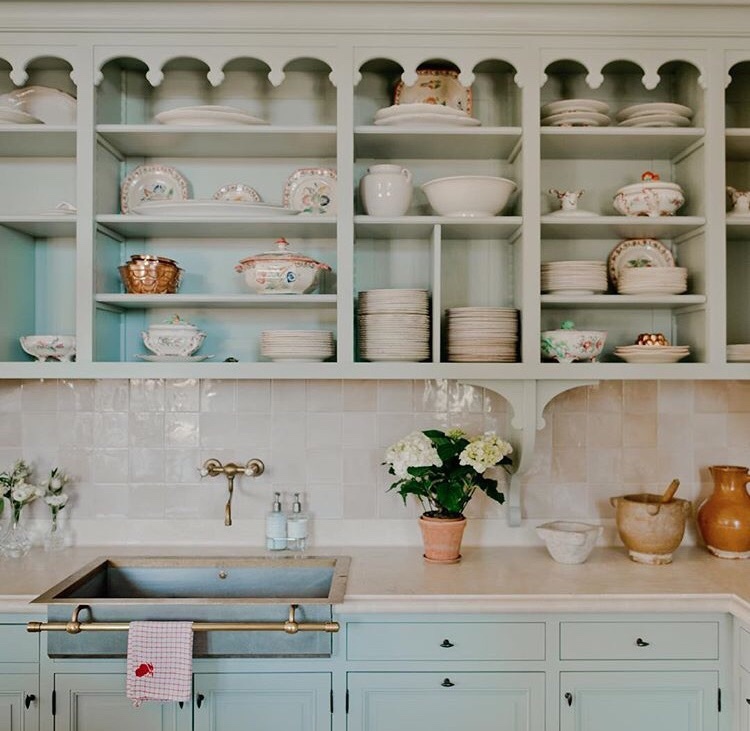 I fell in love with the kitchen, and then the rest of the house! Follow on Instagram with updates on the property @provencepoiriers for more images of this dream French farmhouse in Provence. of the beautiful images that were taken last July, when Piper was still a little pup. My living room looked absolutely beautiful and Piper posed like a star. 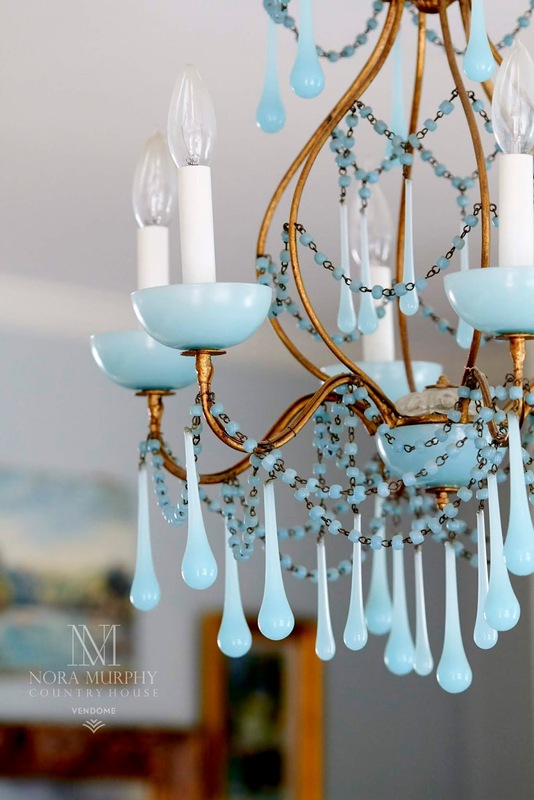 The beautiful blue opaline chandelier gets the spotlight. I am sharing today are outtakes, and didn't make it to the book. Wait till you see what did make the cut!! 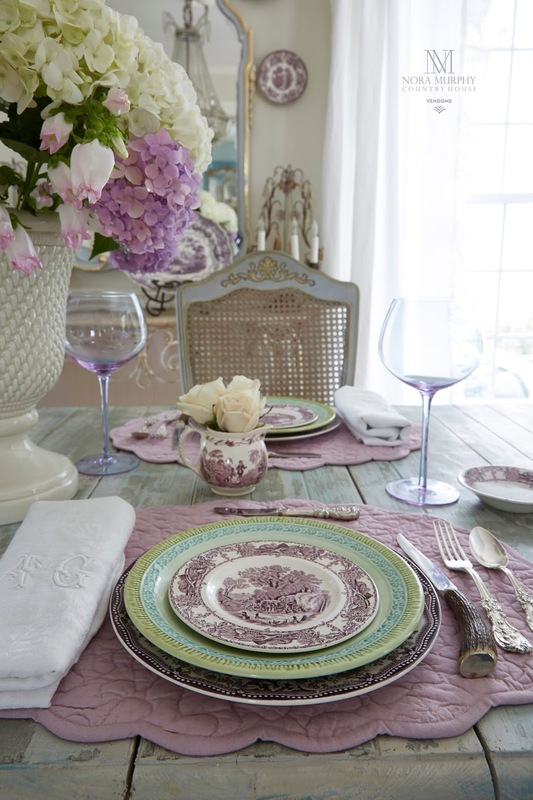 style of plates from my transfer ware collection and some pretty green majolica. The big balloon wine glasses in amethyst glass were a wedding gift from my sister. Big antique French monogrammed napkins dressed the table. 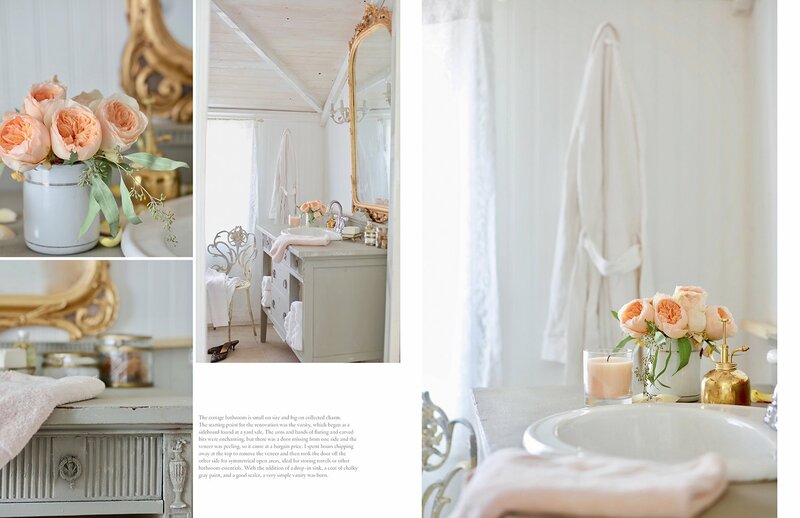 This bedroom photo did make the book. as I had it for our every day living. 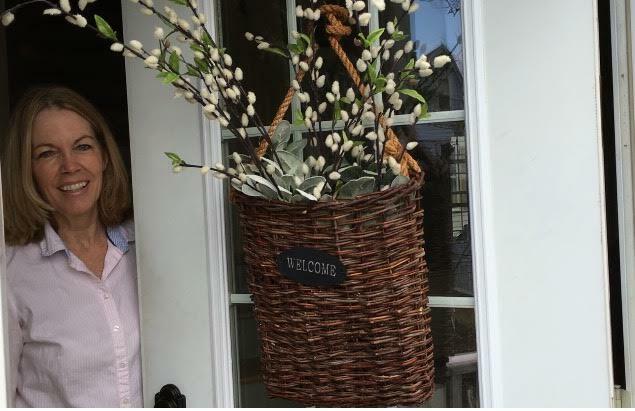 Nora brought these hydrangeas from her own Connecticut Country House garden! 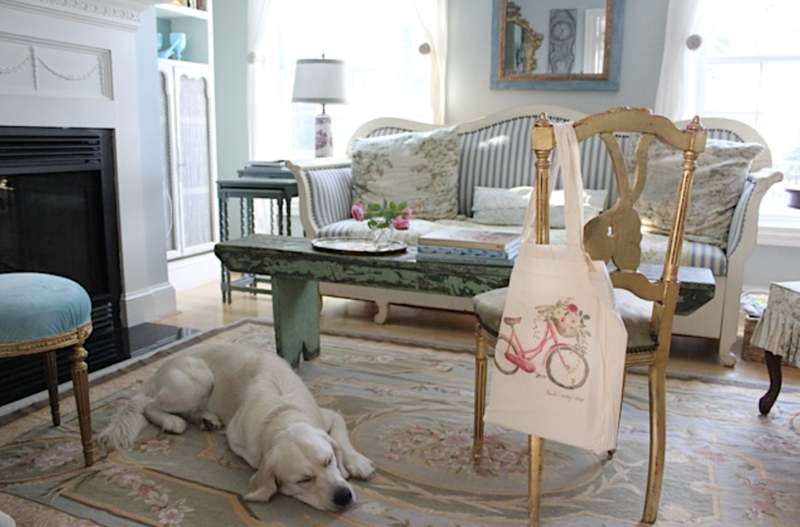 the photos of the homeowners with Nora did not make it into the book. Interestingly she said the editor said that photos of people can date a book. And I think she is absolutely right...think bouffant hair dos and bellbottom pants. Hahah, Nora and I might feel we are dressed in a timeless style, but time will tell. 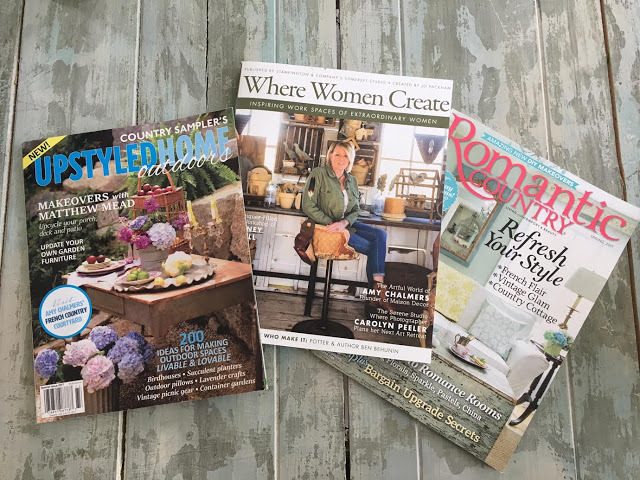 believe the country homes Nora has chosen will stand the test of time and inspire for decades. 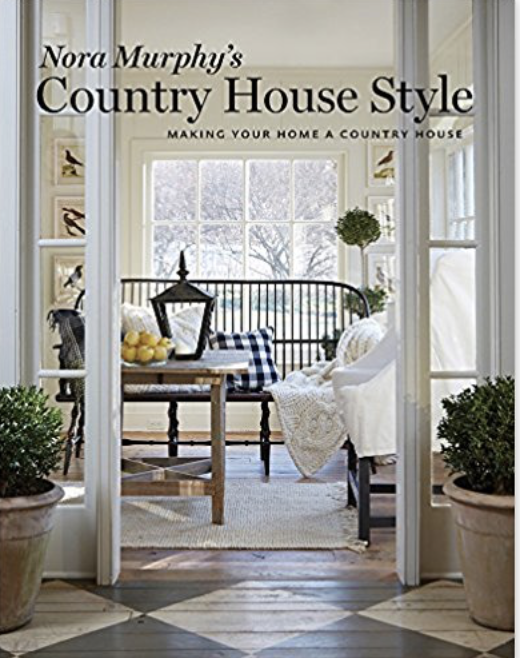 country styles and the tag line of the book is "Making your home a Country House". 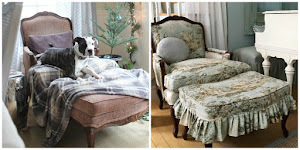 Nora talks about collections, and how they add that country style to a home. 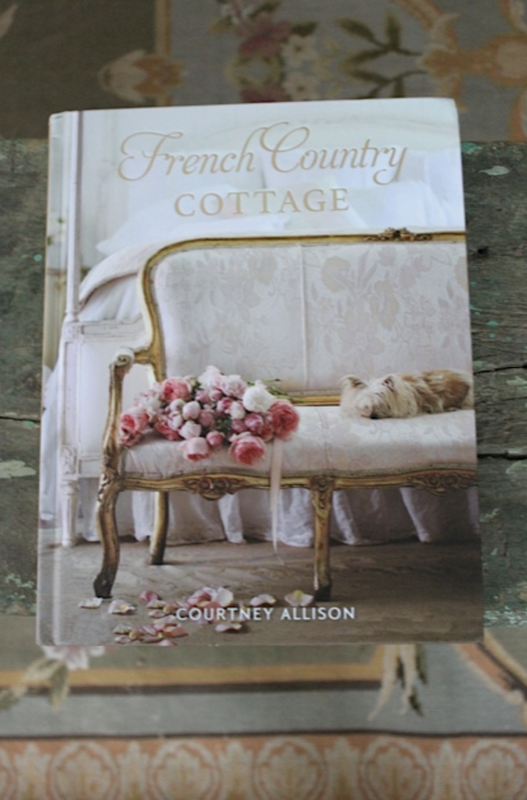 will inspire you to refine your own Country House. the book, due out in September, visit Nora Murphy's site here.